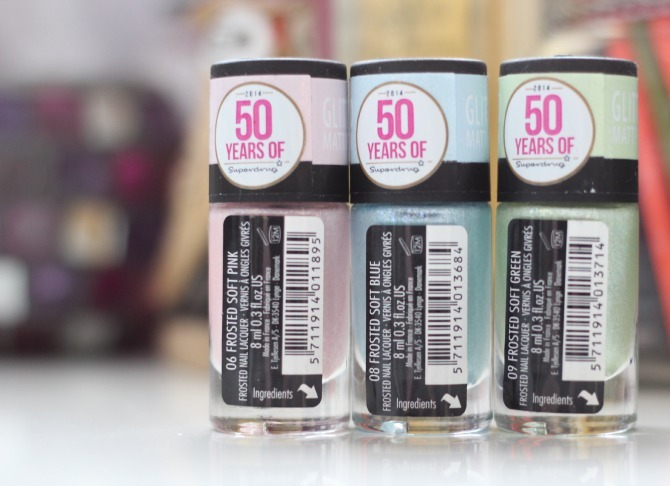 I haven't had a chance to wear these yet, so can't comment on their durability etc, but I just wanted to share them with you because I thought they were super pretty, perfect for Spring/Summer! 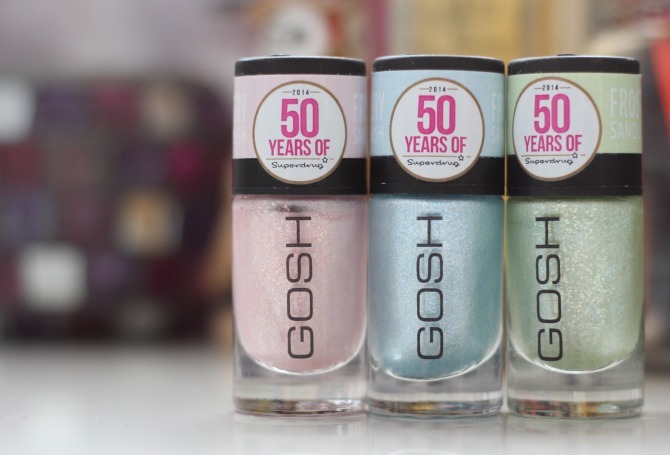 Lots of Superdrug's brand all joined forces to create specially packaged 50th anniversary products, and GOSH are no exception, which will make these products a limited edition*. 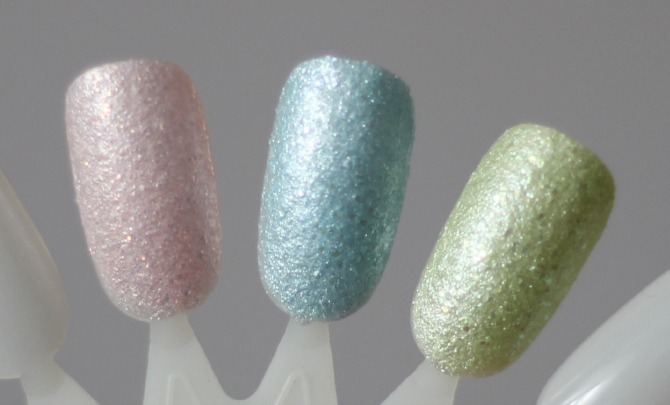 All three have a frosted sand look with a glittery matt finish in super pretty on-trend colours. These are so beautiful, great price as well!